Photographer Colin Hampden-White captures the beauty of Crete and Santorini in a pictorial tour of the Greek wine-producing islands. 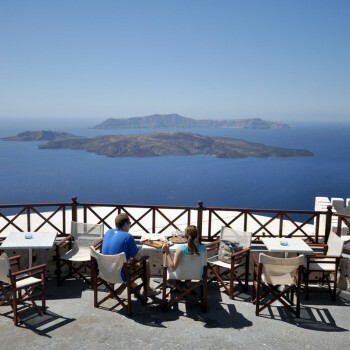 Colin’s love of Greece stems from many years holidaying in the country, and although he says that he has always enjoyed the wines, he does admit that they tend to taste better in situ. As for the wineries, Colin explains that it’s easy to visit producers whether or not they are set up for commerce. “You can visit lots of the cellars even if they don’t sell wines at the cellar door… they are stunning places and the people are so open,” he says. He also records an increased openness to visitors and professionalism due to the economic situation. Colin has also photographed the star winemakers of Bordeaux, Burgundy and Champagne, as well as the faces behind Scotland’s top malts.